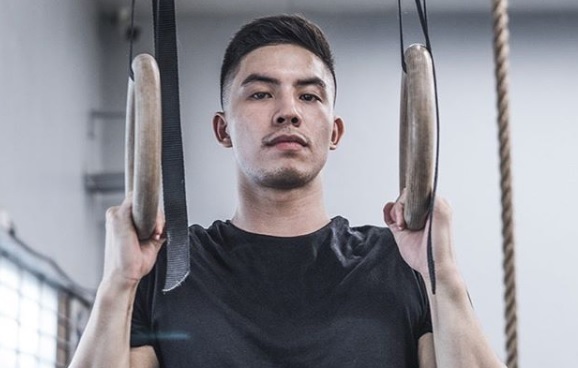 Tony Labrusca’s boyfriend also a multihyphenate? Tony Labrusca earned the ire of netizens on January 4, 2019 when he was accused of bragging about being a celebrity while discussing with a Bureau of Immigration officer at the Manila Ninoy Aquino International Airport. The actor and singer has already explained the situation and apologized to the officer. But the issue does not stop there. Actually, this was not the main issue. On January 3, 2019, Labrusca landed at the NAIA and was infuriated when he found out that he does not qualify as a Balikbayan or a returning Filipino. He was automatically given a 30-day visa upon his arrival in the Philippines since he was from Canada, one of the 157 countries eligible for visa free entry pursuant to Executive Order No. 408. Labrusca was not travelling with his mother Angel Jones, who he spent the holidays with. Instead, he was with his boyfriend, according to a netizen who claims to be an eyewitness to the incident at the NAIA. Neither a photo nor a video was presented by the netizen to prove that Labrusca was indeed with another man when he landed at the NAIA. Even if the actor was with another man, no evidence was released to establish that the two are in a romantic relationship. While Labrusca has already apologized to the incident with a Bureau of Immigration officer at the NAIA, he has yet to respond to the speculations that he is gay and that he has a boyfriend. He is not even likely to respond to these rumors soon as he is possibly advised not to talk about it. Now, many nosybodies want to know who this boyfriend is if he does really exist. One name that emerged was Alex Diaz, who is a multihyphenate like Labrusca. Both Diaz and Labrusca are singers, actors and models. What we know is that the two are close friends and they are both sporty individuals. On June 16, 2018, Labrusca and Diaz competed in the Spartan Race at the Foressa Trails in Barangay Cansomoroy, Balamba, Cebu, Philippines. The former placed first while the latter placed third. But whether or not Diaz and Labrusca are gay and are in a relationship, there is no way of knowing at this point. If both statements are true, it should not really matter and these nosybodies should just be happy for them as long as they are not committing crimes, such as adultery. If Labrusca is indeed in a romantic relationship, whether with a man or with a woman, it is not his duty to let the people know. His being a celebrity does not disqualify him from keeping private things private.